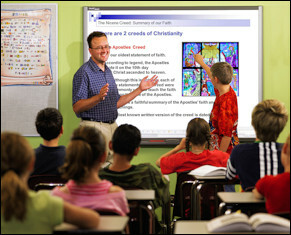 Description: Use for RCIA and other faith formation classes. Appropriate for the ending of the Inquiry Period or near the beginning of the RCIA Catechumenate Period. 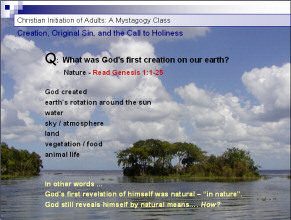 Ties together Creation, Original Sin, Christ, Baptism, and our call to holiness. Comes with a Catechist Guide and class hand-out that outlines the PPT. Handout inspires people to become better stewards of nature and the environment.